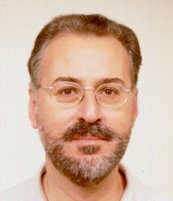 Dr. Kostas Kalaitzakis was born in Chania-Crete-Greece in 1954. He received his degree in Electrical and Mechanical Engineering from the National Technical University of Athens/Greece (NTUA) in 1977 and his PhD from the School of Electrical Engineering of the Democritus Univ. of Thrace/Greece in 1983. He is currently Professor in the Technical Univ. of Crete/Greece. He served as Adjunct Assistant Professor in the Georgia Institute of Technology/USA. Sensors, transducers and measurement units based on new techniques (fuzzy, neural, data fusion). Renewable energy sources systems (autonomous or interconnected to the power system). Design and development of inverters and converters with maximum power tracking (MPPT). Design and development of electronic control units , based on fuzzy logic, neural networks and genetic algorithms, for industrial applications. Excellent Teaching Award, Technical University of Crete, Greece, 2015. Wind Engineering, vol. VI, No 1, 1982, pp. 24-36. J. of Biomedical Engineering, vol. 6, No 1, Jan 1984, pp. 33-39. Int. J. of Circuit Theory and Applications, vol. 12, No 3, Jul 1984, pp. 239-247. IEEE Trans. on Industrial Electronics, vol. IE-31, No 4, Nov 1984, pp. 371-376. IEEE Trans. on Power Apparatus and Systems, vol. PAS-104, No 7, Jul 1985, pp. 1677-1683. J. of Medical and Biological Engineering and Computing, vol. 23, Sep 1985, pp. 453-458. IEEE Trans. on Power Systems, vol. PWRS-2, No 1, Feb 1987, pp. 45-51. IEEE Trans. on Energy Conversion, vol. EC-2, No 2, Jun 1987, pp. 227-231. IEEE Trans. on Energy Conversion, vol. EC-2, No 4, Dec 1987, pp. 556-562. Medical Progress Through Technology, vol. 14, 1989, pp. 63- 72. Biomedical Instrumentation and Technology, Jan-Feb 1990, pp. 31-36. Int. J. of Solar Energy, vol. 9, 1990, pp. 137- 146. Renewable Energy, vol. 7, No 1, 1996, pp. 51-56. Neuroulogy and Urodynamics, vol. 15, No 4, 1996., (Published after review of the paper in Proc., of the 26th Annual Meeting of Int. Continence Society, 1996). Solar Energy, vol. 57, No 4, 1996, pp. 291-299. Int. J. of Solar Energy, vol. 21, 2001, pp. 219-242. IEEE Trans. on Power Electronics, vol. 16, No 1, Jan 2001, pp. 46-54. Energy and Buildings, 33, 2001, pp. 531-543. IEE Proceedings - Electric Power Applications, vol. 148, Issue 4, July 2001, pp. 315-321. Energy Conversion and Management J., Vol. 43, 2002, pp. 119-134. Reliability Engineering & System Safety J., Vol. 77, Issue 1, July 2002, pp. 19-30. Electric Power Systems Research J., Vol. 63, Issue 3, Oct., 2002, pp. 185-196. Renewable Energy J., Vol. 28, Issue 1, Jan., 2003, pp. 139-152. Eng., Applications of Artificial Intelligence J., Issue 5, Vol. 15, Sep., 2002, pp. 417-428. J. Image and Vision Computing, Vol. 21, Issue 4, April 2003, pp. 359-381. Measurement, Vol. 34, Issue 2, September 2003, pp. 75-83. Microelectronics J., vol. 34, 2003, pp. 823-832. IEEE Trans. on Industrial Electronics, Vol. 50, No 5, Oct., 2003, pp. 990-999. IEE Proceedings - Electric Power Applications, Vol. 151, Issue 2, March 2004, pp. 191-197. WSEAS Trans. on Circuits and Systems, Vol. 3, Issue 9, Nov., 2004, pp. 2051-2057. Energy and Buildings, Vol. 37, 2005, pp. 93–99. Renewable Energy J., Vol. 30, Sep., 2005, pp. 1649–1669. IEEE Trans. on Industrial Electronics, Vol. 53, Issue 2, April 2006, pp. 486- 494., (Ç äçìïóßåõóç åìöáíßæåôáé óôçí 5ç èÝóç óôï "Most frequently downloaded TIE papers from Xplore in 2006" ôçò IEEE, http://tie.ieee-ies.org/tie/2006downloads.htm). WSEAS Trans. on Environment and Development, Vol. 2, Issue 5, May 2006, pp. 690-697. J. of Systems Architecture, Vol. 52, Issue 6, June 2006, pp. 332–344. WSEAS Trans. on Circuits and Systems, Issue 7, Vol. 5, July 2006, pp. 1016-1021. Solar Energy, Vol. 80, Issue 9, Sep., 2006, pp. 1072–1088. Building and Environment, Vol. 42, July 2007, pp. 2686–2698. Microelectronics J., Vol. 40, Issue 7, July 2009, pp. 1094-1102. EPE Journal, Vol. 19 - 3, Sep. 2009, pp. 63-69. Energy, Vol. 35, Issue 12, Dec. 2010, pp. 5483-5496. Solar Energy, Volume 85, Issue 12, Dec. 2011, pp. 3067–3084. Int. J. of Sustainable Energy, 2014, published online. Renewable Energy, Vol. 75, March 2015, pp. 474-480. Energy and Buildings (Renewable Energy Sources and Healthy Buildings), Vol. 98, 1 July 2015, pp. 45–55. Int. J. of Sustainable Energy, Vol. 35, Issue 2, 2016, pp. 132-147. Int. J. of Sustainable Energy, Oct. 2015, pp. 1-12. Int. J. Energy and Buildings, Vol. 123, 1 July 2016, pp. 119–135. Period. Polytech. Elec. Eng. Comp. Sci., Vol. 60, No. 4, 2016, pp. 254-260. Energy and Buildings, No. 141, 2017, pp. 39-55. Computational Intelligence and Applications, World Scientific and Engineering Society Press, ISBN 960-852-05-X, 1999, pp. 133-137. Kolokotsa D., Diakaki C., Grigoroudis E., Stavrakakis G. and Kalaitzakis K.
Advances in Building Energy Research, Vol. 3, Chap. 5, Earthscan Publications Ltd., July 2009, pp. 121-146. Proc. Conf. Wind Energy and Industrial Aerodynamics, Athens, Oct. 1980, pp. 3-1 ùò 3-49 (in greek). Proc. of MELECON '81 Conf., Tel Aviv, Israel, May 1981, 5.4.3, pp. 1-3. Proc. IMACS Conf., Athens, Dec. 1981, pp. 385-389 (in greek). Proc. of Fourth EC Photovoltaic Solar Energy Conf., Stressa, Italy, May 1982, pp. 325-329. IASTED Int. Symposium on Applied Modeling and Simulation, AMS'82, Paris, France, June 1982. Proc. Int. AMSE Conf., Paris Sud, France, July 1982, pp. 59-63. Proc. 1st National Conf. Soft Energy Sources, Solar Technology Institute, Thessalonica, Oct. 1982, pp. Á10-109 - Á10-117 (in greek). Proc. of MELECON '83 Conf., Athens, Greece, May 1983, pp. D7.05. Proc. of Int. AMSE Conf. on Modeling and Simulation, vol. 3-3, Athens, Greece, June 1984, pp. 267-275. Proc. of European Wind Energy Conf. and Exhibition, Hamburg, Germany, Oct. 1984, pp. 696-701. Proc. of 17th Southeastern Symposium on System Theory, Invited Paper, Auburn University, Alabama, USA, March 24-26, 1985. Proc. of IEEE Eng., in Medicine and Biology Society 10th Annual Conf., New Orleans, USA, Nov. 4-7, 1988. Proc. of the 2nd European Symposium on Soft Energy Sources and Systems at the Local Level, Chania, Greece, Ïct. 1989. Proc. of IEEE Intern., Symposium on Industrial Electronics (ISIE '95), Athens, Greece, July 10-14, 1995, pp. 610-615. Proc. of 26th Annual Meeting of Int. Continence Society, Athens, Greece, Aug. 27-30, 1996. Proc. of 31st Universities Power Eng. Conf. (UPEC), Iraklio, Greece, 18-20 Sep. 1996, pp 54-57. Proc. of 31st Universities Power Eng. Conf. (UPEC), Iraklio, Greece, 18-20 Sep. 1996, pp 929-932. Proc. 13th National Urology Congress, Cyprus, Oct. 1996. Proc. 8th IFAC/IFIP/IFORS Symposium on Transportation Systems '97, June 16-18, 1997, Chania, Greece. Proc. of 5th European Congress on Intelligent techniques and Soft Computing EUFIT'97, Aachen, Germany, Sep. 8-11, 1997, pp. 2232-2238. Proc. 4th National Congress of Physical Medicine and Rehabilitation, Athens, 13-14 Dec. 1997 (in greek). Proc. EPIC Conf., Lyon, France, Nov. 19-22, 1998, pp. 624-629. Athens 30/11-2/12 1998, pp. 376-381 (in greek). Proc. ESIT 99 Conf., Chania, Greece, June 3-6, 1999. Athens, 20-22 Mar. 2001 (in greek). Proc. Int. Conf. Renewable Energies for Islands Towards 100% RES Supply, Chania, Greece, June 14-16, 2001. Proc. Int. Conf., Renewable Energies for Islands Towards 100% RES Supply, Chania, Greece, June 14-16, 2001. Proc. IFDICON 2001 Conf., Santorini, Greece, June 24-28, 2001. Proc. 2001 IEEE Porto Power Tech. Conf., Porto Portugal, Sep. 10-13, 2001. Proc. Of European Power Electronics and Drives Association, EPE2001 Conf., Graz, Austria, Aug. 27-29, 2001, pp. P.1-P.10. 2nd IASTED Int. Conf. Power and Energy Systems (EuroPES 2002), Crete, Greece, June 25-28, 2002. Proc. World Renewable Congress-VII, Cologne, Germany, June 29-July 5, 2002. Proc of the Int. Conf., on RES for island, tourism & water desalination, 26-28 May 2003, Crete, Greece. Proc. 10th European Conf., on Power Electronics and Applications, EPE 2003, Toulouse, France, Sep. 2-4, 2003. Restoration and Protection of the Environment IV, Mykonos, July 18-23, 2004. Proc. 3rd WSEAS Int. Conf. on E-Activities Electronics, Control & Signal Processing, Rethymno, Crete, Greece, Oct. 24-26, 2004. 10th WSEAS CSCC Multiconference, Vouliagmeni, Athens, Greece, July 13 -15 2006. 17th IEEE Int. Workshop on Rapid System Prototyping, 14-16 June 2006, pp. 200-208. Proc. of 17th European Biomass Conf. & Exhibition - From Research to Industry and Markets, Hamburg, Germany, 29 June-3 July 2009. Proc. of 17th Mediterranean Conference on Control and Automation, MED '09, Thessaloniki, Greece, 24-26 June 2009. Proc. 21st National Conference of Operational Research - Decision Making in Health Systems, Athens, May 2009 (in greek). Proc. 35th Annual Conf. of the IEEE Industrial Electronics Society IECON09, Porto, Portugal, 3-5 Nov. 2009. Proc. Int. Conf. on Electrical Machines of the IEEE Industrial Electronics Society, ICEM10, Rome, Italy, 6-8 Sep. 2010. Proc. Clima 2010, Sustainable Energy Use, 10th Federation of European HVAC Associations (10th REHVA World Congress), Antalya, Turkey, 9-12 May 2010. Proc. IEEE Int. Conf. on Smart Measurements for Future Grids (SMFG), Bologna, Italy, 14-16 Nov. 2011, pp. 154-159. Proc. IASTED Int. Conf., Power and Energy Systems (EUROPES 2011), Crete, Greece, 22-24 June, 2011. Proc. 4th Int. Scientific Conf. on Energy and Climate Change, Athens, Greece, 6-7 Oct. 2011. Prov. World Renewable Energy Congress - Int. Conf. on Renewable Energy for Sustainable Development and Decarbonization, Perth, Australia, 2013. Proc. Joint Conf. 34th AIVC – 3rd TightVent – 2nd Cool Roofs – 1st VentiCool, Athens, Greece, 25-26 Sep. 2013. 2nd Conference on the Power Options for the Eastern Mediterranean Region (POEM 2013), Nicosia, Cyprus, 7-9 Oct. 2013. Proc. EU PVSec, 29th European Photovoltaic Solar Energy Conf. and Exhibition, Amsterdam, Nederland, 22-26 Sep. 2014. Proc. Ökosan '15 Conf. on high quality retrofit and redensification with timber construction systems, AEE INTEC, Austria, 17-19 June 2015. Proc. 5th Int. Conf. on Industrial and Hazardous Waste Management “CRETE 2016”, at Chania (Crete, Greece), 27-30 Sept. 2016.